Despite Barcelona securing a fantastic comeback win against Real Sociedad at the Anoeta on Saturday, one certain Barca player wasn’t best pleased, and it’s to do with Ernesto Valverde. The Blaugrana continued their perfect start to the season thanks to second half goals from Luis Suarez and Ousmane Dembele, as the club secured just their second league win at the Anoeta since 2007. 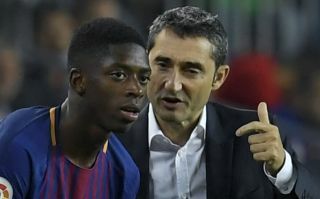 Despite scoring, Dembele still isn’t a happy bunny, as according to Don Balon, the forward is getting fed up with Valverde due to the Spaniard subbing the winger off constantly before the full time whistle. The report notes that the Frenchman is getting annoyed with Valverde consistently taking the youngster off, which is fair considering that the Frenchman is rarely the worst player on the pitch. 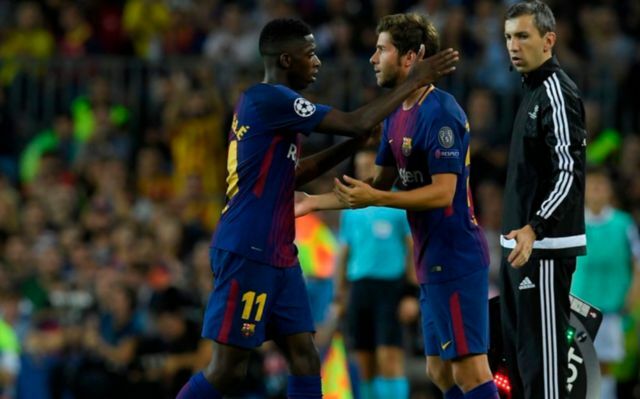 Don Balon’s report also states that Dembele would like to be left on the pitch for the full 90 minutes on occasion, something that will surely do wonders for the player’s development. Dembele being able to play the full 90 minutes every now and again will be good for the winger’s development, as it would allow him to learn how to take advantage of spaces when the opposition are tired. Dembele playing for the entire length of a match will also help him improve his fitness, an aspect of his game that will become important later in the season when the games are coming thick and fast for the Blaugrana. It’s easy to see why Dembele would be getting fed up with Valverde, as the player surely wants to play the most amount of minutes he can at every opportunity. Only time will tell if Valverde takes this into consideration, and we see Dembele manage 90 minutes more often from here on out.